Response from Charles Tyrwhitt: I'm very sorry about this, which certainly shouldn't have happened. Needless to say, we will absolutely replace the shirt for you under our no quibble 6-month guarantee, but perhaps you would like to give the Extra Slim Fit a try based on your previous comments? Please let us know and a new shirt will be sent out to you very swiftly. 2 months ago I've purchase a handful of shirts from CT in the past and they've been great. I recently purchased 4 more and I'm not so thrilled. Typically, the material is thick, sturdy and truly requires no ironing. They've all fit almost exactly the same. This last batch each fits a bit differently, they are all very thin material, and they all came out wrinkled from the first wash. To be fair, I did purchase business casual shirts this time, when I typically purchase a more formal shirt, but I was disappointed. 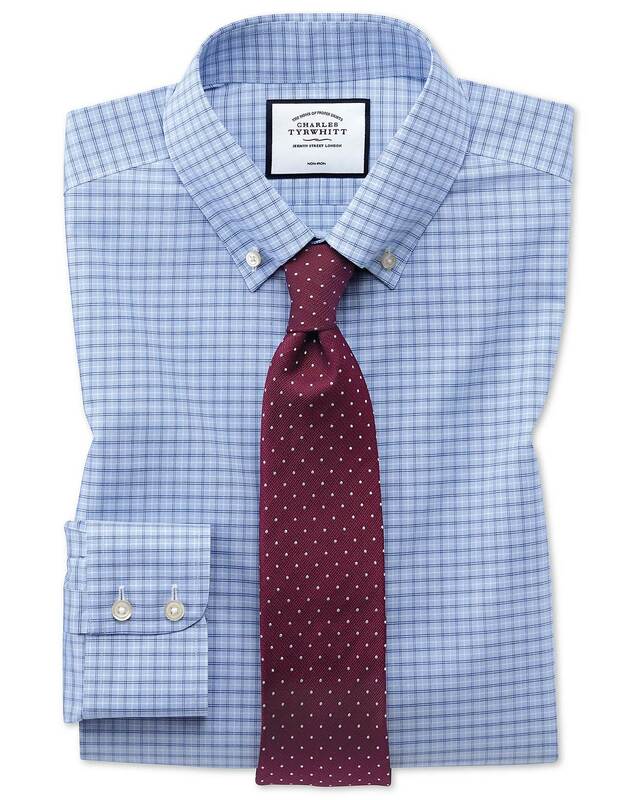 For the price I paid for 1 shirt from CT I can get 2 or three from Van Heusen, so I expect a much higher quality. I'd say these were on par with the $20 shirts from the outlets. They're not bad, just disappointing.